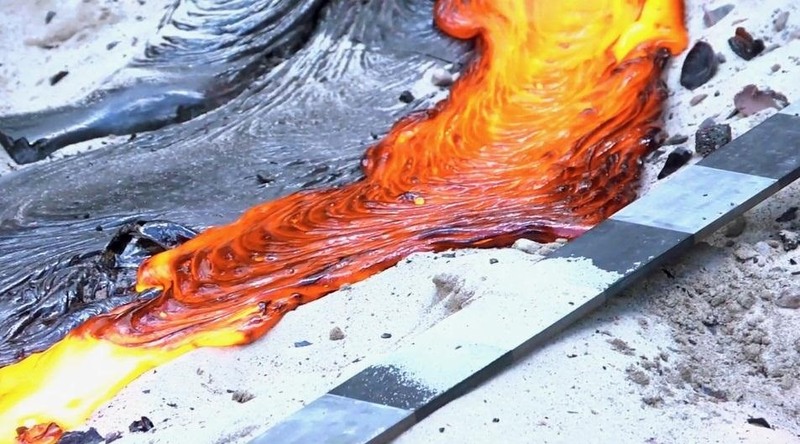 Believe it or not, it's possible to make your very own lava—if you have a furnace capable of heating up to 1,200 degrees Celsius, that is. Bob Wysocki and Jeff Karson started the Syracuse University Lava Project to study basaltic lava and give students a hands-on way (hypothetically, of course) to learn about it. Oh, and they also want to use it for art projects. Sign me up for that class! It all starts with 1.1 billion-year-old basalt gravel, which apparently anyone can buy. They put the gravel into a tilt furnace powered by coke (the fuel, not the soda), which heats it up to 1,200 degrees Celsius (about 2,200 Fahrenheit) and pours it out to simulate either an aa or pahoehoe lava flow. 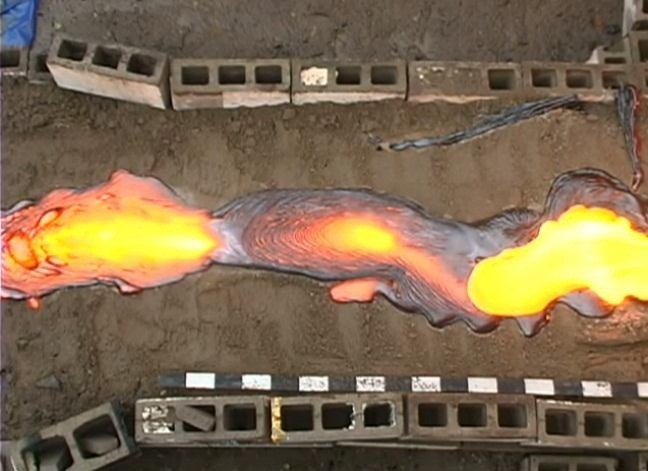 Once the lava is poured, it can be collected and reused to make more magma, and thus more lava. 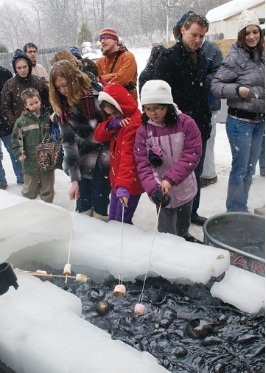 Some lucky kids even got to roast marshmallows and hot dogs during the demonstration. Wysocki says the eventual goal is to build a huge furnace that can produce 3 tons of lava per hour. Sounds dangerous, but that's part of what makes it awesome. You can learn more by visiting the SU Lava Project page or Earth Magazine's article or by watching all of the test videos. 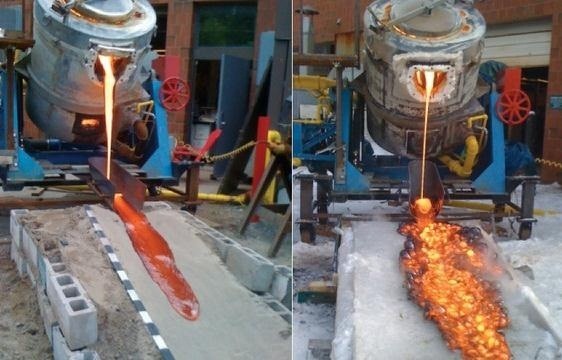 I doubt anyone has the equipment to do this at home, unless you've got one hell of a forge for metal shaping, but in the spirit of lava-making, why not try your own lava lamp, chocolate lava cake, or the classic volcano science experiment. What would you do with a lava machine? That is exactly the next thing we are going to create: a volcano. Actually, we are almost there...kinda. Not when you're playing Scrabble! Haha! I always knew that AA was a word in Scrabble, but I never knew it was referring to the lava type! How To: Turn a Microwave Oven Transformer into a High Amperage Metal Melter! DIY Blacksmithing: Forge Your Own Steel at Home! Bat Science: How Realistic Are Batman's Gadgets in Dark Knight Rises? How To: Are Your Gadgets Safe from Solar Storms and Nuclear Attacks?